You can usually find me with a glass of wine or bubbly, but when the weather starts to get warm I love a good margarita. I received some amazing Fleur de Geisha tea from Le Palais des Thés. The tea is inspired by the Japanese Hanami tradition of cherry blossom viewing and is a refined Japanese green tea delicately flavored with cherry blossom. Once again, I was unable to find fresh/frozen cherries anywhere so I used black cherry juice instead. 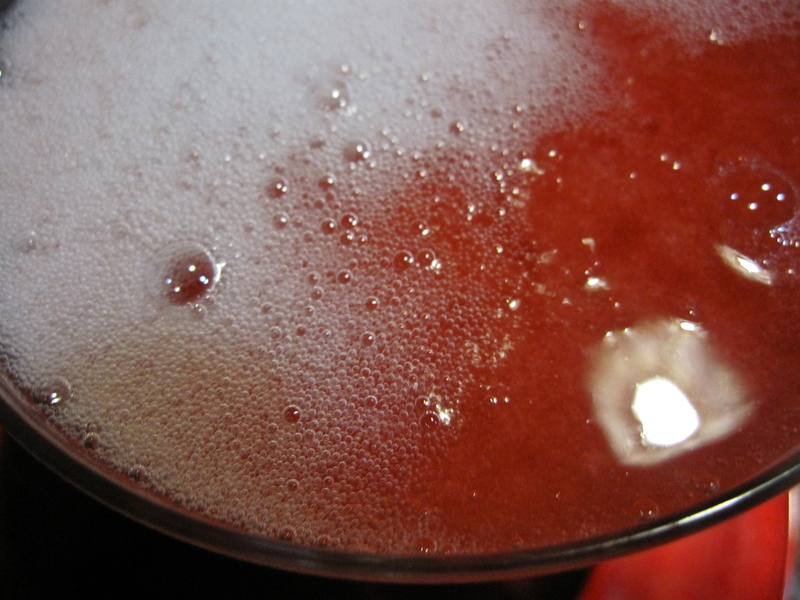 Freezing the tea and cherry juice ahead of time yields a nice frothy margarita without it being watered down by ice. 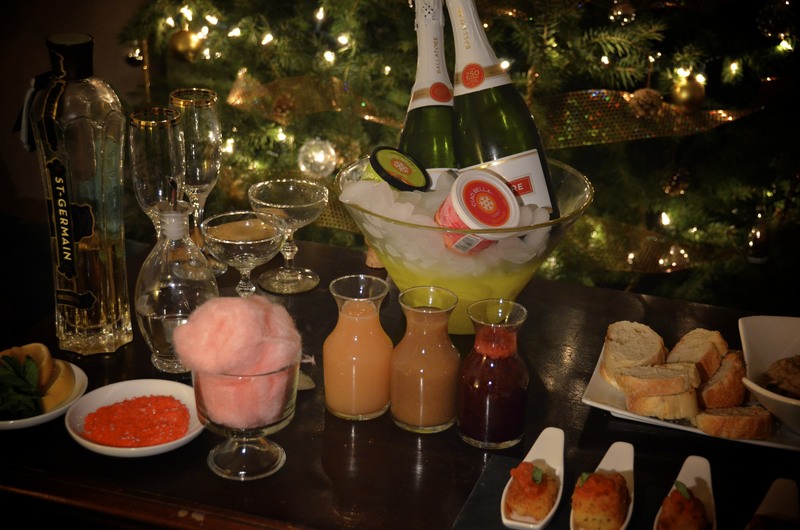 If your planning a cocktail party, try a champagne bar. It makes things fun for your guests and gives them a chance to be creative. It also gives you time to sit back and relax instead of playing bartender. 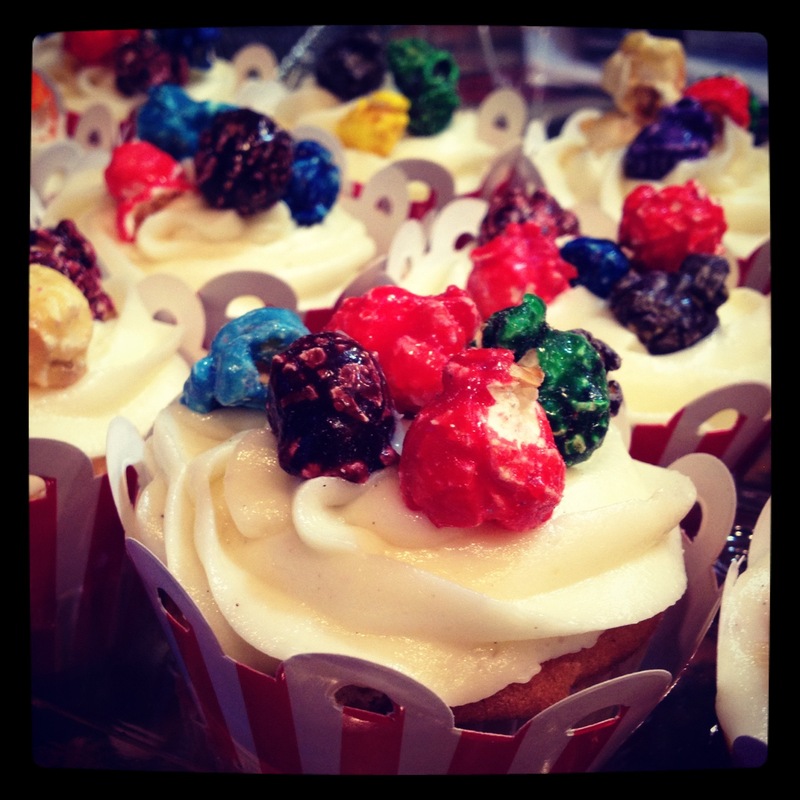 Just provide your guests with several mix in options, garnishes, glasses and champagne. The heat wave we have been experiencing on the East Coast has been horrible! 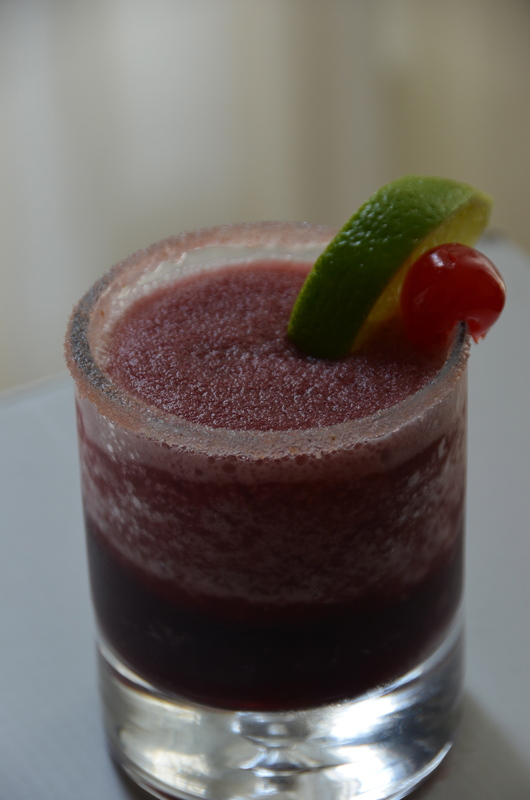 In search of some relief, I whipped up these raspberry slushies. I know alcohol is not the best thing to drink when it”s 100 degrees outside, but this drink will cool you off instantly. Icy cold, delicious, and ready in a flash. Cheers! I was at the beach for a few days so I wanted to make a little bite size snack that would travel well and of course a cocktail! I stuffed my pretzels with onion jam, gruyere, and ham. I also made a herb de provence dijon mustard. 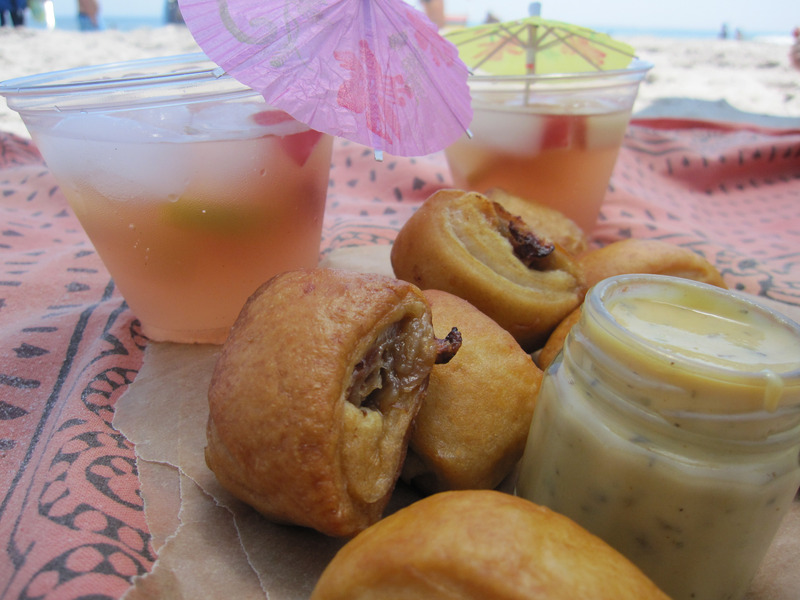 These little guys are so perfect for beach snacking, way better than a big sandwich. As for the cocktail, cool refreshing sangria with a little something special with the addition of St~Germain. I just have to say I am totally obsessed with St~ Germain. I just love it! It adds great flavor to so many drinks. A definite staple for your bar. Just wanted to share a a quick recipe for a drink I made with the bourbon vanilla ice cream. Just add two scoops of ice cream to your glass. Add a shot of bourbon and top with your choice of double chocolate stout, I used Young’s. 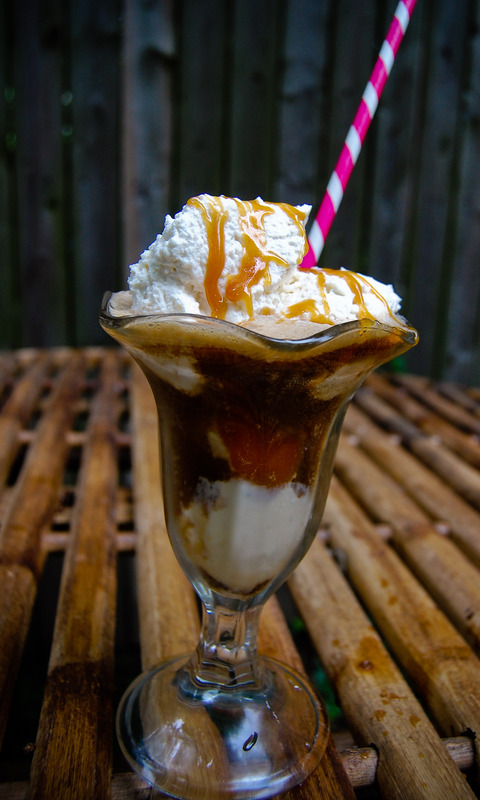 Finish with whipped cream and caramel. If you think my whipped cream looks a little funny, It does. I took my eye of the mixer for a second and it was over whipped! Even with the over whipped whipped cream, it was still tasty. This is a serious grown up float! More posts coming soon! I’ve been on a margarita kick for a couple weeks now since the weather has been so nice on the East Coast. I seriously think I could drink margaritas everyday! 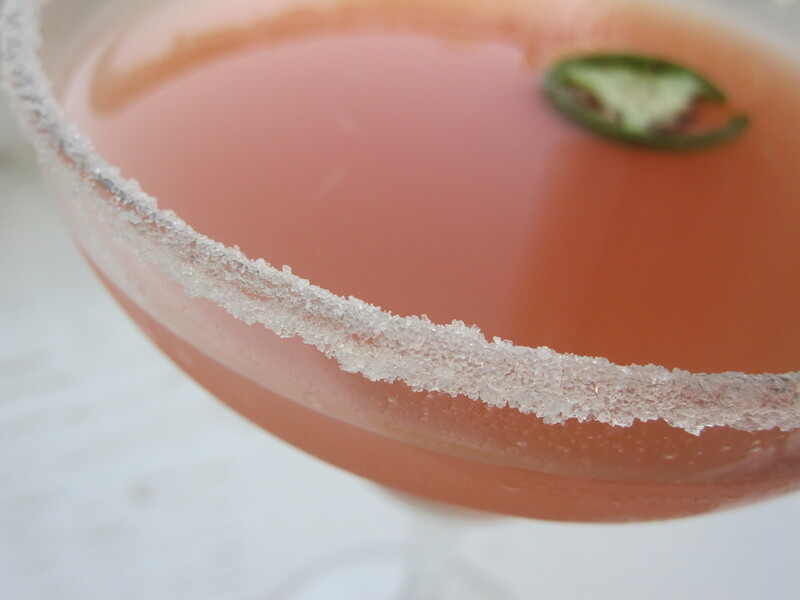 This one is refreshing, yet sweet with a little unexpected heat from the jalapeño. I am a huge fan of putting anything and everything into egg roll wrappers or wontons. 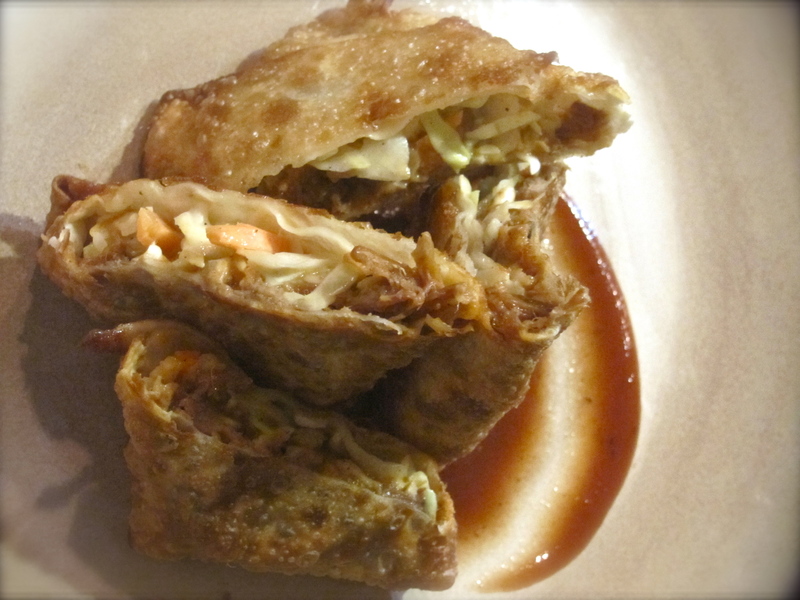 I remember seeing a recipe for BBQ pulled pork egg rolls and decided to give it a try. This is one of the easiest things you can make with your left overs! 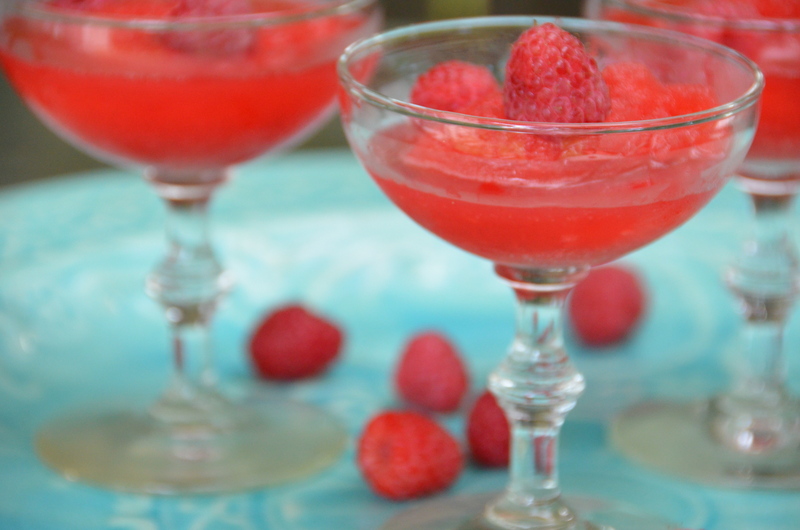 This is a simple cocktail to make and it will definitely be one of your favorites. 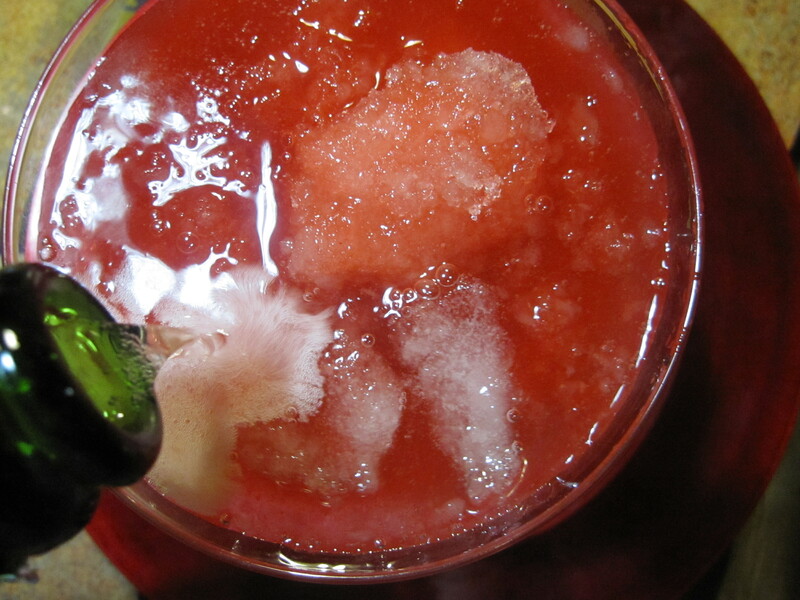 Just mix your favorite margarita and top with champagne. I put a little champagne in the blender too. 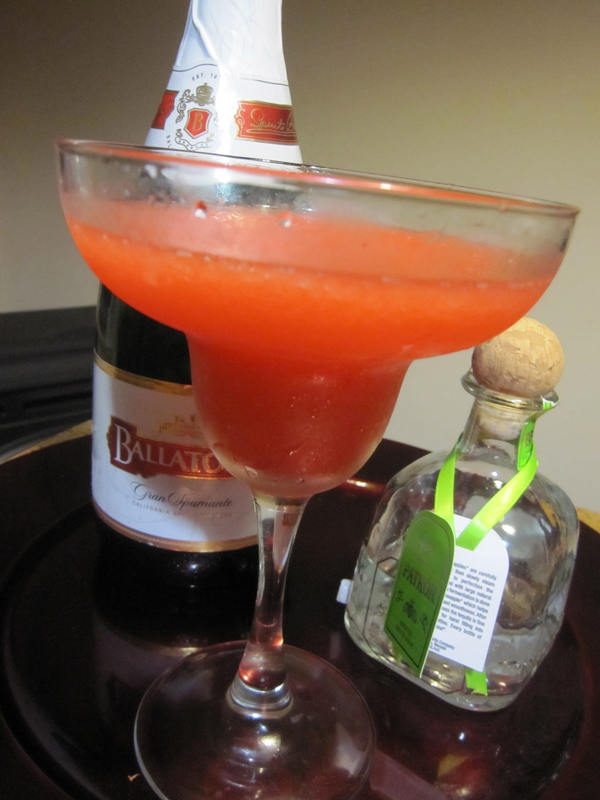 This combo is my favorite, strawberry Patron margarita topped with Ballatore Gran Spumante!!!! 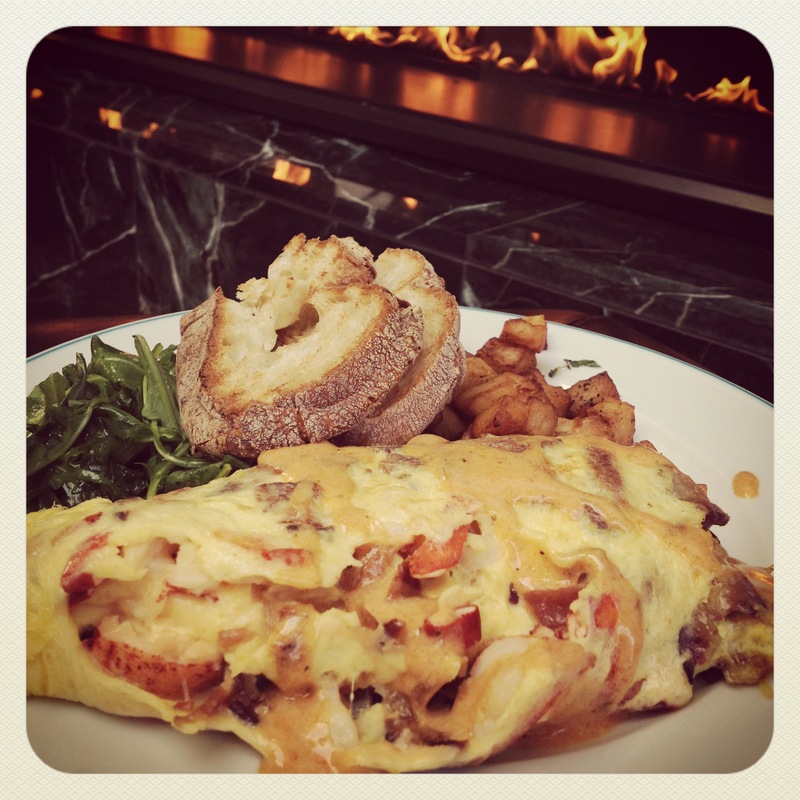 Trust me you have to make this.